The whistleblowing website Wikileaks has suggested that Donald Trump appoint Julian Assange as the chief of the joint cyber security unit as discussed with President Vladimir Putin. Trump, however, clarified that discussions do not mean any plans for such unit are in the works. WikiLeaks was quick to respond and nominated Assange, the whistleblowing platform’s founder, to run the unit. “Why not put @JulianAssange in charge of it? He's trusted by the public and has the CIA’s best stuff anyway,” Wikileaks said in a sarcastic tweet, linking the message to the Vault 7 series of documents which revealed the CIA’s espionage programs. Appointing Assange might prove to be, kind of difficult, considering that he is wanted by the Americans for being involved in leaking US government secrets. 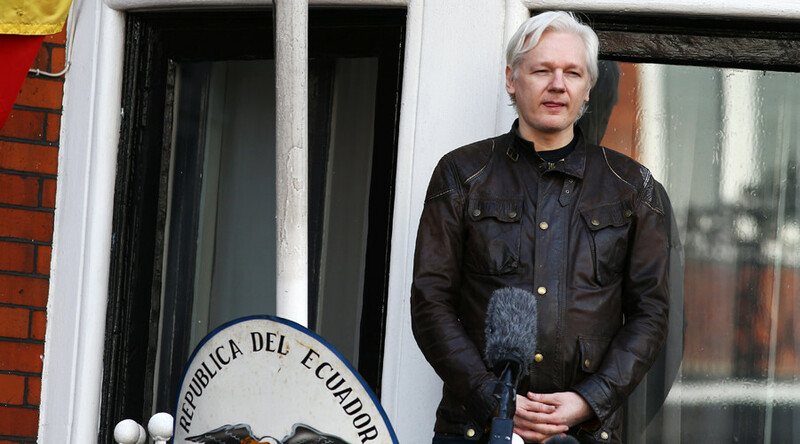 He is sought in the US over WikiLeaks publications, even though Swedish authorities in May this year withdrew the allegations of sexual assault – the accusations which forced the Australian to seek refuge in the Ecuadorian embassy in London in 2012. UK police insist that Assange would still be arrested if he left the embassy because he had broken his bail conditions and failed to surrender despite an arrest warrant being issued for him. Amid the ongoing leakage of US secrets and mounting speculations of alleged Russian meddling in the US elections, Trump and Putin discussed in Hamburg the possibility of sharing the responsibility to protect the cyber space. Trump’s interpretation of the issue was much more bold and drew more heat for his alleged collusion with the Kremlin. So later Sunday, the US president had to clarify his statement on the cyber unit. “The fact that President Putin and I discussed a Cyber Security unit doesn't mean I think it can happen,” Trump said while praising the success of the ceasefire deal in southwest Syria brokered with Russia.